Home NEWS & EVENTS Wizard’s Raffle Basket Winner! 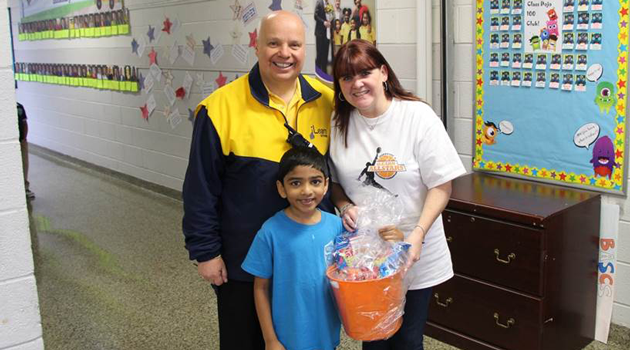 Congratulations to Ryan V. in 1D for winning the raffle for the Harlem Wizards ticket basket. The original winner was the school security guard, Mr. John Manly who donated the basket back so a student could have the opportunity to win! Thank you for your generosity Mr. Manly and congratulations Ryan. Enjoy the game!